Are you wondering how to start the conversation about senior living in your family or if senior living is the right choice for a loved one? Are you or your family member still active but feel burdened by an empty house? Do you or your family members no longer have a strong social support network? Do you or your family members still feel a sense of purpose? Or, do you or your family member want more opportunity to contribute? Has driving become a concern? Are there ongoing health questions? The Village believes in providing the ideal solution for seniors who value their independence, yet need some assistance with daily activities. Revolving around individual wellness and personal care, our tailored plans for each resident encourages continual independence and safety. Team members are available 24-hours a day for help with bathing, dressing, medication reminders, or other activities. The Village is not only a comforting, resident-centered alternative to an assisted living ‘facility’, it is a completely different option for residents that do not require intensive, skilled nursing care. 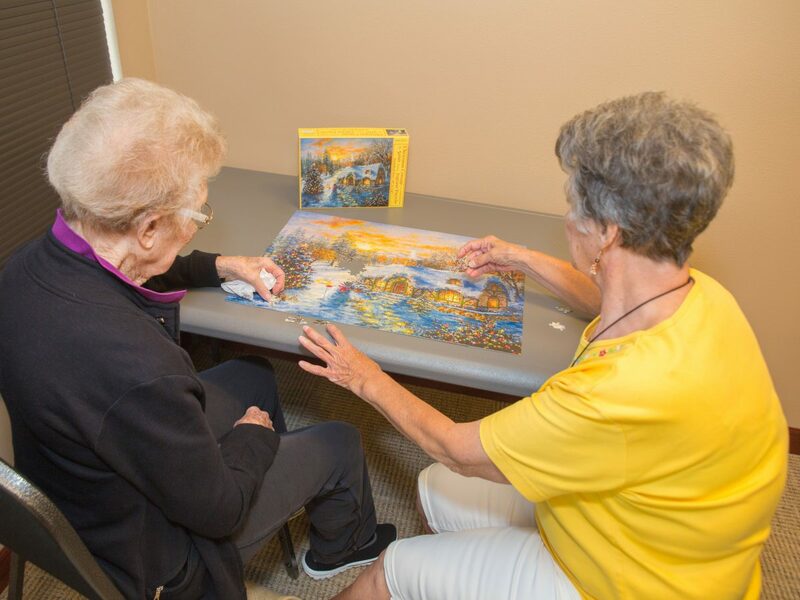 At the Village, our Alzheimer’s, dementia, and memory loss care services are focused firmly on creating a safe and familiar environment while promoting independence. Our memory care facilities consist of specially designed living spaces and supportive environments for those who are living with cognitive challenges brought on by Alzheimer’s and dementia. These designs may include carefully considered flooring to reduce problematic patterns and specialized wall colors for easy navigating for those with Alzheimer’s or dementia. Areas of the community are also set up for safe engagement during activities such as gardening, kitchen work, and independently focused activities that provide purposeful and meaningful moments. Our team is trained to value each senior and to recognize his/her unique preferences and needs. We know that memory loss affects every resident differently. Understanding those differences allows us to respond positively to each individual senior while providing quality memory loss care.